Saint Limbania was a thirteenth-century saint born in Cyprus. She fled to Genoa when her parents tried to have her married. There she came to live as a chaste recluse in a cave under the kitchen of the monastery of Saint Thomas. She is shown here surrounded by wild animals, tribute to her gentleness. 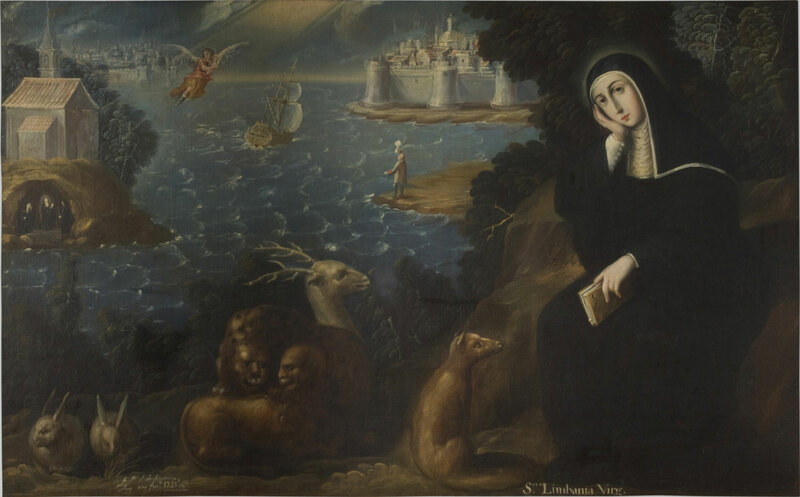 The artist, Miguel de Herrera, was an Augustinian friar who worked for a number of convents and monasteries in the area around Puebla, Mexico.